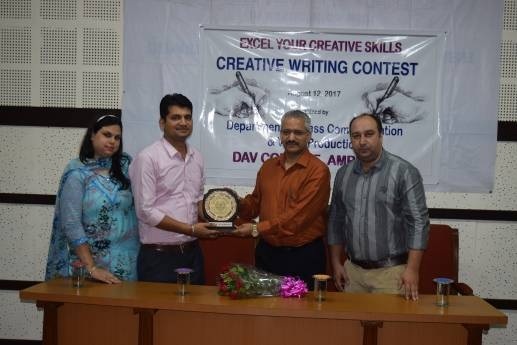 NEWS Department of Mass Communication and Video Production, DAV College Amritsar organized Creative Writing Contest "Excel Your Creative Skills" on August 12, 2017. This event was conducted in series of two sessions. Students of BJMC and BA MCVP participated during the event .Munish Devgan, producer, Aaj Tak was the key speaker of this event. He briefed about importance of creative writing skills in field of journalism to students and he also emphasized on the fact that creative writing is base foundation to any story. In this writing contest students were provided with different newspapers and students were given task to do analysis of various news stories and they were suppose to write letter to editors and send it on the spot to various newspaper organizations. 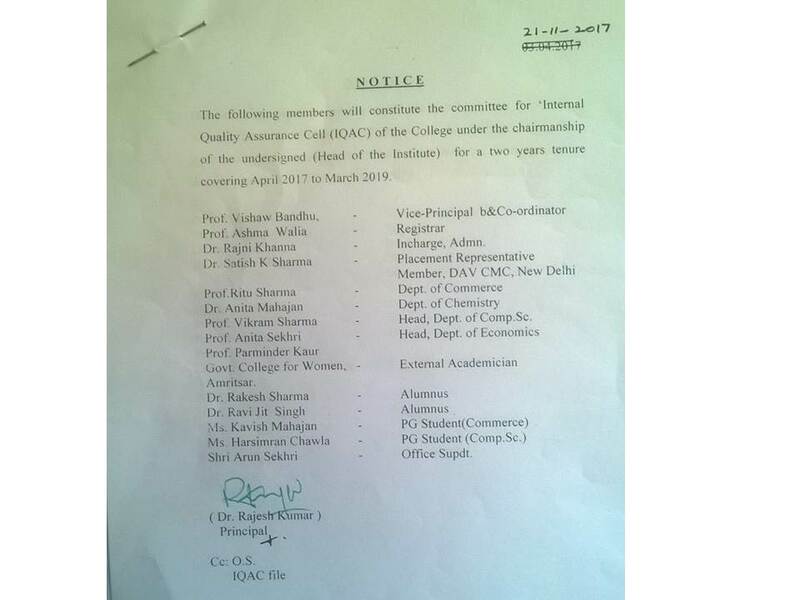 Results for the best piece of writing was judged on the basis of published letter to editor in various news papers in next two days.